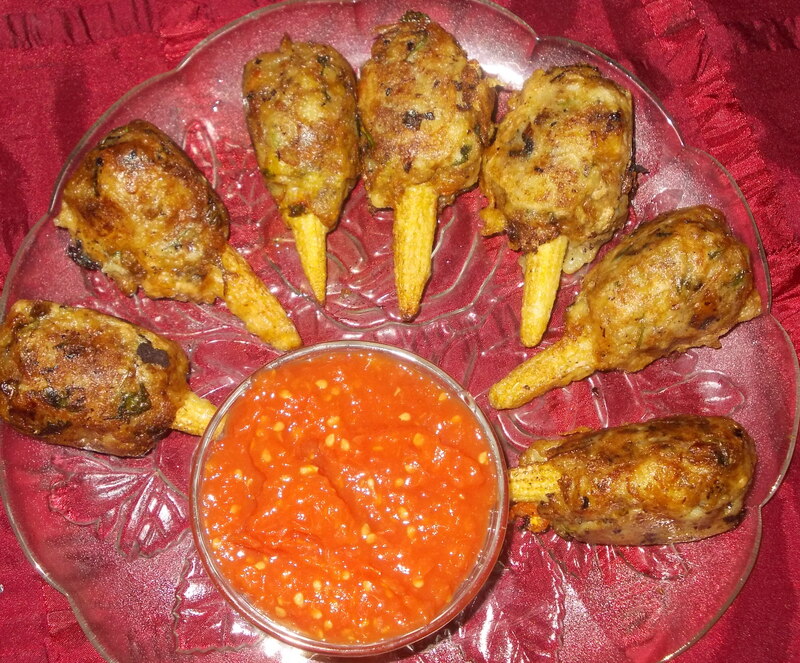 Baby Corn Lolypop is a starter. This recipe gets a vegetarian makeover when paneer & potato is used in place of meat. Blanch the baby corn with ½ tsp of salt & keep aside. Add onion, garlic & stir in low heat. Add minced meat, salt, green chilli, turmeric powder & coriander leaves. Stir & cook till oil releases. Divide meat mixture into 15 balls. Take each ball & stick to the upper portion of the each baby corn. Keep aside. Dip the lollipop into this mixture & deep fry.